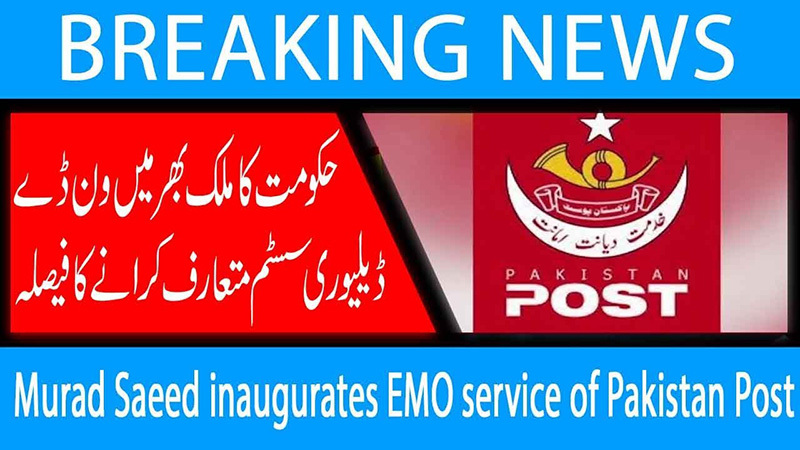 Pakistan Post launch an Electronic Money Order EMO Service. Therefore, the EMO Service offer at all 83 GPOs of the country. Besides that, the service will allow customers for quickly transferring money within the country. The Minister of State for Postal Services Murad Saeed launch the revolutionary EMO Service. Most importantly, the service initiates with an investment of Rs.500 million in a centralized software system. The Pakistani Post is using its own centralize software system without taking the network of competitors. Out of total funds, Pakistan Post provides Rs.100 million to vendor Telconet. 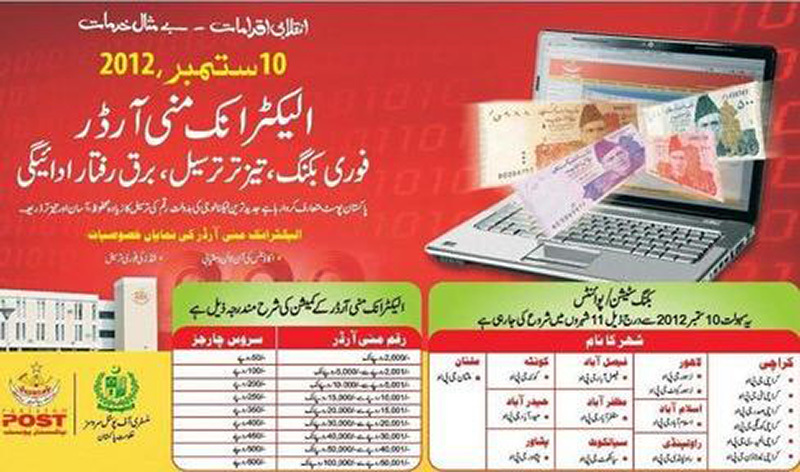 Tabdeeli-Pakistan Post Revolutionary Electronic Money Order. Because, Telconet install the system and will supervise EMO Service. Service charges are comparatively low, as compare to the Easypaisa and UBL Omni services. Tabdeeli-Pakistan Post Revolutionary Electronic Money Order. Murad Saeed said Pakistan Post is going towards e-commerce, re-branding, mobile money order. Besides that it will enhance logistic facilities via a network of 13, 000 post offices across the country. He said Pakistan Post has a market of 80 billion rupees and it can tap its share with enhanced services and attractive packages. Therefore, this will help the department to not only overcome its current losses of 10 billion rupees, but also make it an earning institution. Besides that, Murad Saeed urged media and general public to support the government in revamping the Pakistan Post. Most importantly, with EMO Service money will deliver to the clients at their doorsteps. Tabdeeli-Pakistan Post Revolutionary Electronic Money Order. Minister congratulates Postal Services’ employees for their excellent performance just in two weeks doing the business of 58 million. Besides that, EMO Service are of two types including Post-to-Post and Post to Door Step. Most importantly, other companies offering such services faces shortages of cash. But Pakistan Post will avert such possibilities in EMO Service. Therefore, the new EMO Service will be a good revenue generating initiative. For providing uninterrupted service, every GPO has generators to provide electricity to the system. Tabdeeli-Pakistan Post Revolutionary Electronic Money Order. Most importantly, the system will spread its network to the grassroots level to facilitate the masses.